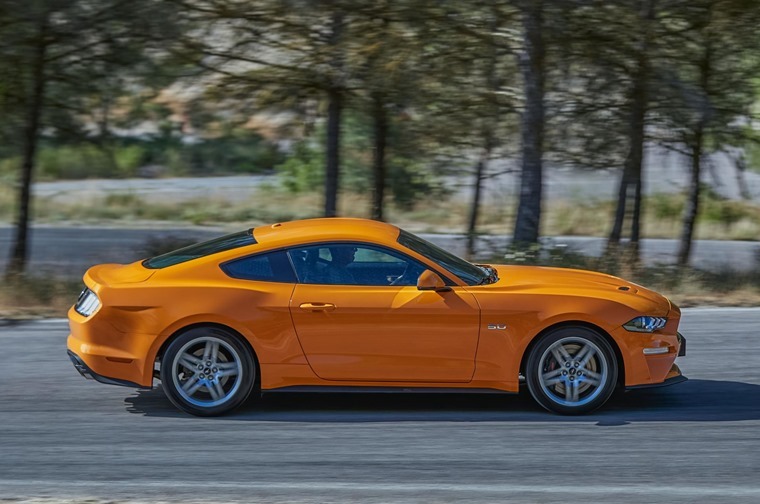 Ford today revealed the new Ford Mustang for Europe – delivering sleek new styling, sophisticated engine and suspension upgrades, as well as advanced driver assistance technologies and more customisation options, for the iconic sports car. 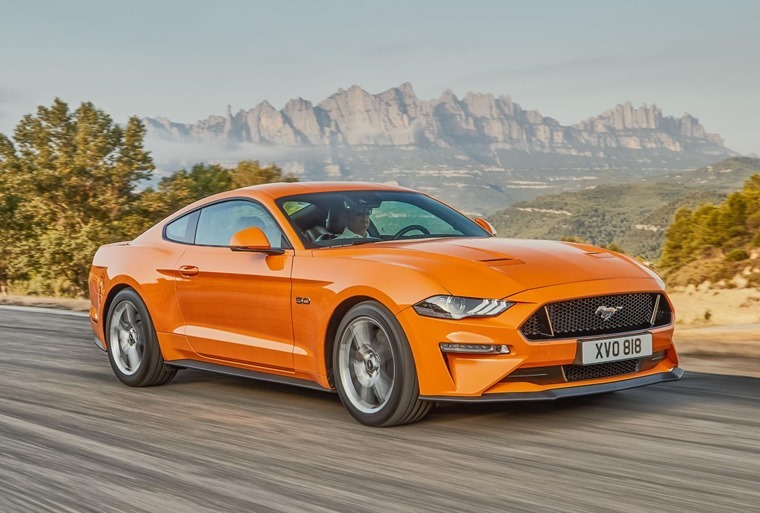 The new Mustang is anticipated to be the fastest accelerating ever, with an enhanced 5.0-litre V8 engine that offers an anticipated 443 bhp, combined with Ford’s new 10-speed automatic transmission. 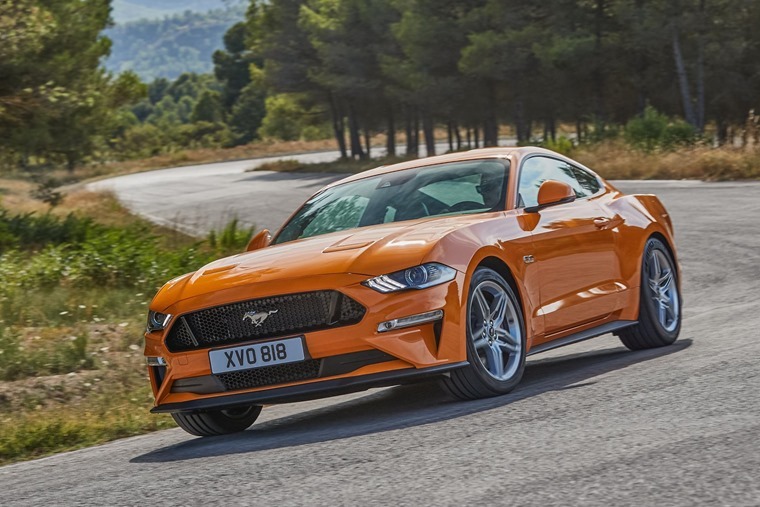 “Europe’s passion for Mustang has proven even greater than we imagined – almost 30,000 Mustangs are already bringing one of the most iconic sights in motoring to the continent’s streets,” said Steven Armstrong, group vice president and president, Europe Middle East and Africa, Ford Motor Company. Exhilarating performance and a fun-to-drive experience have been at the heart of the Mustang’s DNA since the first model was launched in 1964. New powertrain, chassis and technology enhancements now enable the new Mustang to deliver the most rewarding driving experience yet. 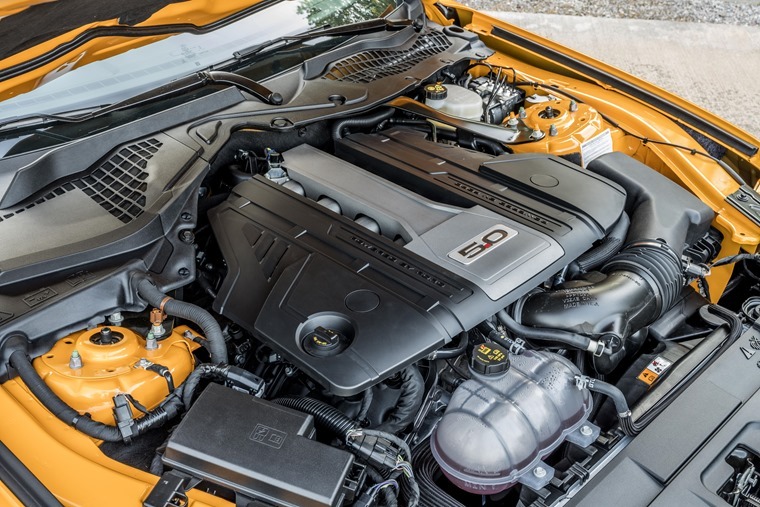 Ford’s famed 5.0-litre V8 engine has been further developed to deliver more power and a higher rev-limit than ever before. Anticipated peak power of over 440 bhp is supported by the introduction of Ford’s new dual-fuel, high-pressure direct injection and low-pressure port fuel injection system, which also increases low-end torque. If that’s too much car for you, the new Mustang also offers a 2.3-litre EcoBoost delivering 286 bhp, and offers a more responsive and engaging driving experience thanks to a transient overboost function for the turbocharger – triggered under heavy acceleration to provide an extra burst of boost following each up-shift – and Ford’s new 10-speed transmission. The advanced new 10-speed automatic transmission offers greater fuel efficiency, and improved acceleration. The gearbox’s electronic control system enables settings that optimise performance for Drive Modes, and real-time adaptive shift-scheduling allows the transmission to adapt to changing conditions. 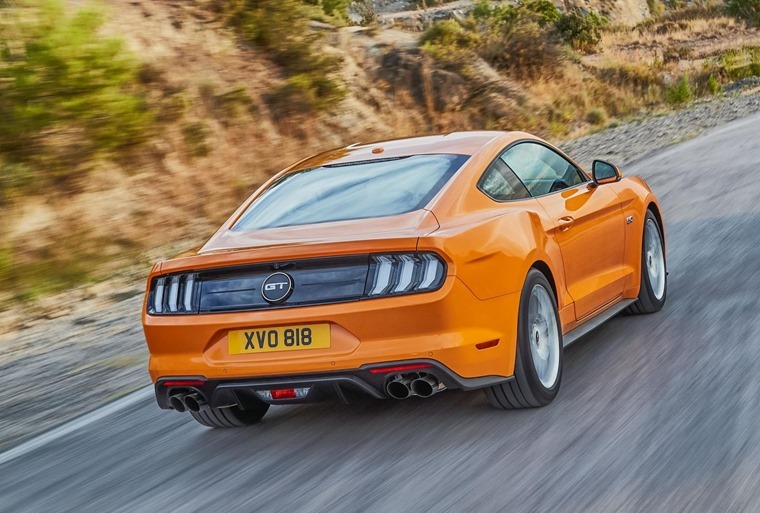 Ford engineers have further optimised Mustang’s driving dynamics to deliver the most engaging driving experience yet. Recalibrated shock absorbers improve stability through corners, and rear suspension is stiffened with a cross-axis joint. Thicker anti-roll bars also better control body-roll for sharper handling. The exterior of the new Ford Mustang delivers a sleeker, more athletic appearance while retaining the instantly-recognisable character honed through more than 50 years of production. 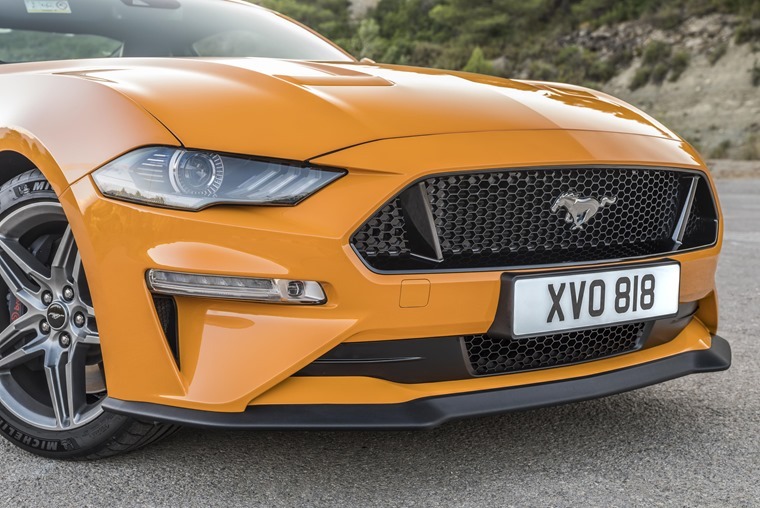 The bonnet profile is now lower with integrated air vents, combined with a revised lower grille design to give the Mustang a sharper, more aggressive face while improving aerodynamics. 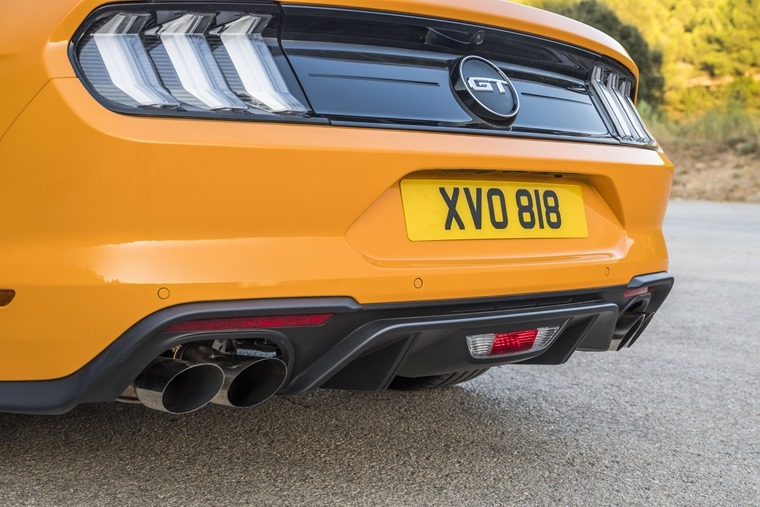 The Mustang’s dramatic rear-end design is further enhanced with a re-modelled bumper and diffuser element, accommodating standard quad-tailpipes for the 5.0-litre V8 model that testify to the power and performance available. In addition, Mustang is now offered with a new optional boot spoiler for an even sportier profile. The new Mustang interior delivers a more premium feel. Soft touch materials now feature for the door linings and the door handles are finished in aluminium. Leather-trimmed, heated and cooled seats, and a heated steering wheel are also offered across the line-up for the first time. A new optional MagneRide Damping System can deliver a lightning-quick response to changing road conditions. A unique fluid inside the damper can be electronically stimulated to offer higher or lower damping resistance, depending on the driving scenario. Sensors monitor conditions one thousand times per second to ensure optimum handling performance. Two new Drive Modes are also to be offered to help drivers match electronic stability control, throttle response, automatic gear-shift patterns, steering and Active Valve Performance Exhaust settings to the driving scenario. In addition to Normal, Sport, Track and Snow/Wet Modes, Drag Strip Mode optimises performance for maximum acceleration from standing starts and quarter-mile performance at dedicated drag racing strips, while My Mode enables drivers to select their own preferred settings for performance, dynamics and exhaust sound. The new Ford Mustang will be offered to customers in Europe with a comprehensive range of driver assistance technologies including Pre-Collision Assist with Pedestrian Detection. For the first time a Mustang will also be offered with Adaptive Cruise Control and Distance Alert technologies, as well as Lane Departure Warning. A customisable, all-digital, 12in LCD instrument cluster will deliver information displays optimised to match the selected Drive Mode – similar to the Ford GT supercar – helping drivers get the most from every driving experience. 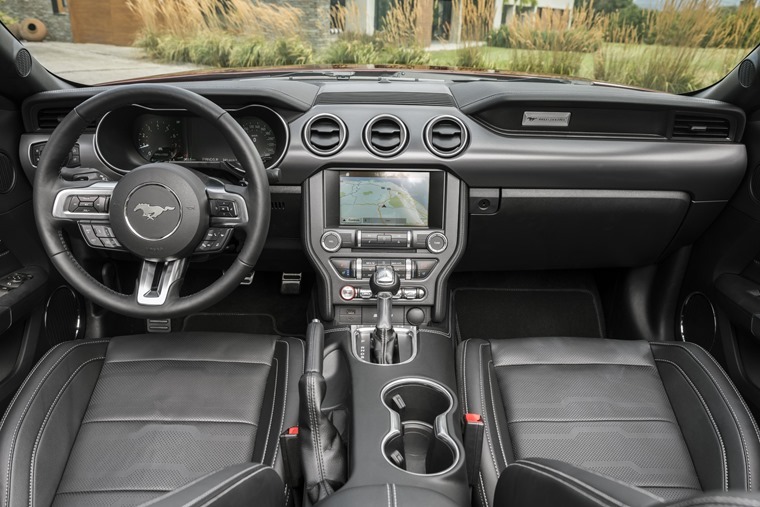 The new Mustang also features Ford’s SYNC 3 communications and entertainment system, which allows drivers to control their connected smartphones, audio, navigation, and climate functions with conversational voice commands, and by using pinch and swipe gestures on the central 8in touchscreen. Deliveries of the new Ford Mustang will begin in 2018.